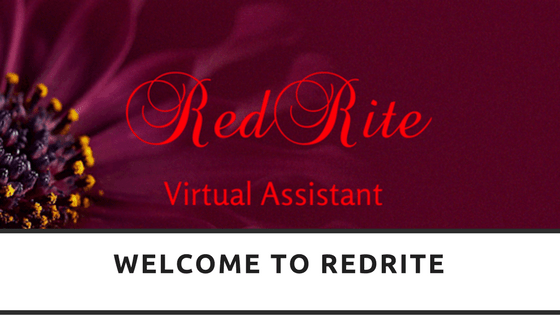 When RedRite UK was in its creation stages, we had to do research into what made a client choose their providers for Remote Admin Services. We found that although many companies followed the same ideas and advertised the same services there were some who would offer something different than others. We decided to look at the main points that help a person decide who to go to for help with their Admin needs and why we felt our little something extra makes all the difference. One major factor people look out for is Price. With the current economic climate many companies are having to let people go due to the inability to pay wages, yet find themselves overworking those left behind, making the need for Ad-Hoc/temp workers greater. Money is therefore something many look towards saving while still getting good service, and are looking for these when researching Remote services. Although the old adage about cost equaling value maybe true it seems that those offering the better quality for the lowest price is benefiting more from the current economic situation. Quality is expected to be high when providing a short-term service to clients, and in order to entice others to use your company again for their needs. Competing in such a popular field makes it necessary to offer that much more, mainly higher quality for lower price, although as previously mentioned many people still believe that they must pay more to get that quality. Many companies will offer to provide a sample of their work in order to show their level and quality of work. Speed. Within this modern high paced world hitting deadlines and having things prepared well in advance require the need for speed in the admin field. An ability to type fast and to make minimal mistakes is one of the top things any employer is looking for in an Ad-Hoc/temp employee. Many Admin specialists now have a minimum typing speed of 60WPM in order to complete work as quickly as possible and keep on top of deadlines. Services, the more the better it appears. Those that can offer a wide-ranging amount of services rather than a select handful are also obtaining more clients. With an ability to provide any service required through their staff rather than having to advise a client to go else were for something specific it is making it essential for companies to have a wide varying skilled staff. From those able of simple customer services right through to transcriptions and marketing strategies. One point which we have found is rarely advertised yet we have a lot of clients approaching us about it the way a document is written, what we like to call a documents ‘Voice’. We have found that many of our clients come to us asking how we write a document. At first, we did not understand the reasoning behind such a question but understood that while many prefer to hire out for their admin and written work they still want it to sound like they have written it, specially a task we find authors want. Although it is something, most companies do offer it is not openly advertised.